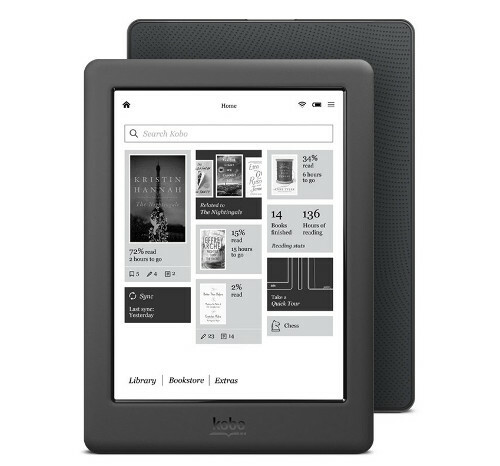 If your Kobo ereader ever starts experiencing problems or stops working properly, there a few different reset and restart options that can usually fix common issues and sudden performance problems. Kobo’s devices have an unusual restart system where you have to stick a paperclip into a small hole. I can’t think of any other ereaders or tablets that have dedicated reset buttons so it’s not something most people think of when a problem arises. So if your Kobo ereader ever starts acting up, freezes, or stops responding and you can’t get it to work right, the first thing you want to try is a basic reset by poking a paperclip into the small hole on the bottom of the ereader. If performing a basic reset doesn’t make the problem go away, you can do a full factory reset to restore your Kobo ereader back to its original factory state. This will erase all content and the Kobo account on the device. You need to do a factory reset if your Kobo’s database gets corrupted, for instance, which can happen if you unplug your Kobo from your computer while files are transferring. To perform a factory reset go to Settings > Device information > Factory Reset > Reset Now. If for some reason you can’t get into the menu system there’s a second way to perform a manual factory reset on Kobo ereaders. First, charge your Kobo device for a few hours. Press and hold the power button to turn off the device, if possible. Then insert a paperclip into the reset hole until it clicks to reset the device. Then when you see square icons appear on the screen, use the paperclip to press the reset button—do this three times. If done properly the screen will turn black and show a Critical error message (that’s normal), at which point you can select to reset your Kobo ereader. Thanks for the reset procedures. I was not aware of the full reset using the paper clip three times. I hope I don’t have to use it. My Sony PRS505 has a reset accessed by a paperclip. I used to have a dedicated paperclip until I worked out which file was upsetting it. There is NO “small hole” on the back of my reader.